In two separate studies, Boston researchers (primarily) have discovered and begun to characterize the intriguing and likely important finding that protein metabolites found in human serum are elevated typically years before the diagnosis of pancreatic cancer (ductal adenocarcinoma of the pancreas) is established. The implications of this discovery have cast a new light on the early development of pancreatic cancer. The central finding is that amino acids in the proteinogenic class known as branched-chain amino acids appear to be elevated in serum most often years prior to the diagnosis of pancreatic cancer. Specifically, these metabolic factors are the three amino acids isoleucine, leucine, and valine. The research team for the initial study was led by scientists from the Dana-Farber Cancer Institute (and other Harvard institutions) and MIT. Also included among these scientists were those from other American universities and Canada. The results from this primary paper were published in the October 2014 issue of NATURE Medicine journal. 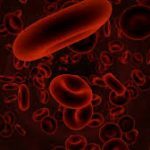 The researchers gained access to blood samples that had been earlier collected (at least two years) from about 1,500 people in other medical tracking studies. They analyzed these samples for more than 100 metabolites and discovered 15 that were present in those people who eventually were diagnosed with pancreatic cancer as compared with matched controls (p ≤ 0.05). On further inspection, the remarkable probabilities of the noted three branched-chain amino acid elevations were determined as significant at p ≤ 0.0006 in those later diagnosed with pancreatic cancer. The branched-chain amino acid elevations were most strongly noted during the period between two to five years before the diagnosis of pancreatic cancer, and the range was 2 to 25 years prior. The median duration between the branched-chain amino acid elevations and the diagnosis of pancreatic cancer was 8.7 years. The causation of amino acid elevations is not fully clear. Circulation serum branched-chain amino acid elevations are seen in obese individuals and in those with insulin resistance. Subsequent tests by the researchers using mice did not appear to find a relationship between the elevated branched-chain amino acid levels and diabetes mellitus or with pancreatitis. There did again appear to be a relationship between the elevated amino acid levels and early pancreatic cancer, though this was essentially only seen in mice with Kras associated pancreatic cancer tumors. The authors note that unlike other amino acids, branched-chain amino acids are not regulated by the liver. That the levels are typically determined by dietary intake, tissue metabolism, and the breakdown of muscle and other bodily proteins. Further mice studies appeared to indicate that the early elevated branched-chain amino acid load associated with later pancreatic cancer may be related to muscle catabolism. The second related study included some of the same aforementioned researchers, comprised primarily of Boston located scientists mainly from Harvard and MIT institutions. This work, published in the September 2016 issue of the journal Science (American Association for the Advancement of Science), built on an aspect of the earlier study to further explicate the tissue context related to tumor development by determining and comparing metabolic use patterns of branched-chain amino acids in pancreatic cancer as compared to non-small lung cancer. The authors note that both pancreatic cancer and non-small cell lung cancer often include mutations of Kras and p53, but that each of these tumors use branched-chain amino acids differently. NSCLC utilizes these amino acids as a nitrogen source (thus, increased uptake), whereas pancreatic cancer demonstrates diminished uptake of branched-chain amino acids. The differences in the levels of branched-chain amino acids between these tumors were shown to be at least in part metabolically based though enzyme variation. The different amino acid levels in these two tumor types appear to hold in mice as well as humans. The authors conclude that tissue origin appears to determine how tumors fulfil their metabolic needs. The finding and explication related to elevations of branched-chain amino acids in serum years prior to the diagnosis of pancreatic cancer has to be judged as highly significant. It is not clear at this point the direction that this line of inquiry will assume, but one hopes that it continues and that the final destination will lead to the earlier diagnosis of pancreatic cancer. Two interesting studies with different methods and results have been published this year by international teams as led by Australian researchers with the aim of trying to establish key sub-types of pancreatic cancer (ductal adenocarcinoma of the pancreas) to aid in improved understanding, management and treatment of patients with pancreatic cancer. The more extensive study included 149 collaborators from Australia, Britain, Europe and the U.S. under the aegis of the Australian Pancreatic Cancer Genome Initiative, who analyzed the genome of 456 separate tumors diagnosed as adenocarcinoma of the pancreas, finding common genetic mutations in 32 genes that were eventually devolved, per the authors’ analyses, into FOUR pancreatic cancer subtypes. This study was published in the March 3rd 2016 issue of the journal Nature. The four subtypes identified include 1). Squamous, related to mutations in TP53 and KDM6A which appeared to carry a poor pancreatic cancer prognosis, 2). Pancreatic Progenitor Tumors, related to genes found in the early development of pancreatic cancer (FOXA2/3, PDX1, and MNX1), Immunogenic Tumors, related to pancreatic cancer immune suppression, and ADEX Tumors, related to KRAS gene mutation activity in pancreatic cancer. The authors suggest that these sub-types of pancreatic cancer carry different natural histories and vulnerabilities that may allow for more precise and efficacious treatment congruence, as more is learned. Thirteen international authors (including five from the above discussed study) encompassing Scottish and German researchers, again as led by Australians published an intriguing article in the August 2016 issue of Molecular & Cellular Proteomics (The American Society for Biochemistry and Molecular Biology) that postulates THREE subtypes of pancreatic cancer as identified by using a different method. The authors used mass spectrometry to explicate tyrosine phosphorylation patterns in pancreatic cancer cell lines (ductal adenocarcinoma). They found three distinct patterns that appeared related to characteristics of signaling networks. The authors acknowledge this as a novel taxonomy for pancreatic cancer, but indicate that these results provide insight about how increased understanding of the biology of pancreatic ductal adenocarcinoma may offer distinctions for more tailored treatment and care of pancreatic cancer. These are two highly interesting research studies that do credit to our colleagues from down under. Further practical extension of this work would seem in order. The age of precision medicine for pancreatic cancer is dawning. We all agree that pancreatic cancer (ductal adenocarcinoma of the pancreas) patients need more effective treatments. Towards that goal, much research time, money and effort go into the new treatment pipeline where only a tiny fraction will emerge with approval for pancreatic cancer, up to a decade later. I’ve advocated that today’s patients need something sooner. We need to figure out how to make treatments we have right now, more effective. In this post, I present one such example. In a recent phase 1 clinical trial known as NCT01674556, researchers in Norway have found promising results by combining gemcitabine and ultrasound on ten pancreatic cancer patients who were stage 3 and 4. Using gemcitabine, commercially available ultrasound equipment, and SonoVue®, a sonogram contrast agent with microbubbles, they raised the median overall survival in these patients with pancreatic cancer from 8.9 to 17.6 months (p=0.011). The patients tolerated many more treatments (13.8 ± 5.6 cycles versus 8.3 ± 6.0 cycles (p=0.008, unpaired t-test). And 5 of 10 of the patients saw their pancreatic tumor size decrease. Patients were intravenously given gemcitabine for 30 minutes (a standard pancreatic cancer treatment duration). A 31.5 minute sonogram treatment followed where patients received periodic doses (every 3.5 minutes) of sonogram contrast agent while an ultrasound probe targeted the tumor. The same research group published an earlier set of results using gemcitabine, microbubbles, and ultrasound with similar results on five patients with pancreatic cancer. We must remain aware that these are phase 1 results on ten Norwegian patients. The comparison group was a set of 63 similar patients with pancreatic cancer treated with gemcitabine prior to the trial. If we are to get full-on excited about this, it needs to be tested head-to-head against gemcitabine by itself using patients randomly selected to each treatment. Gemcitabine must get inside the tumor cell in order to disrupt cell division. It enters by diffusion through the cell membrane. Higher concentrations of gemcitabine outside the cells diffuse inside to equalize the concentrations levels. Gemcitabine passes through the cell membrane to get inside, which takes some effort (energy). Because there’s a barrier to overcome, the transfer of gemcitabine from outside to inside the cell is slowed. The result is that gemcitabine penetration into the cell is not complete. Likely a lot of gemcitabine will be cleared out before it can work against the tumor. An interesting fact about the cell membrane is that it is not fixed and taut like the surface of a balloon. The cell membrane is like a sheet of fluid made of molecules that shift around. In fact, cell surface proteins and receptors float around the membrane sheet like ships on the sea. Certain molecules can diffuse through the membrane with rates determined by size and charge. Given these two ideas, how can they facilitate gemcitabine’s diffusion through the cell membrane? Previous research has shown that ultrasound can destabilize the fluid-like cell membrane to allow molecules to penetrate it more easily in a process called sonoporation. If we follow an infusion of gemcitabine with ultrasound waves directed at the tumor and we can increase the tumor cell’s uptake of chemotherapy. Another attractive aspect of this is that the increased uptake is where the ultrasound waves are directed – at the pancreatic tumor site. This technique may have achieved increased activation of chemotherapy at the physical intersection of two treatments. Chemotherapy and the sonogram microbubbles, which are body-wide agents, and ultrasound waves which can be directed at the pancreatic cancer tumor. This is not unlike how multiple directed beams of radiation are used to maximize the effect at the tumor. Could a similar technique be used to activate a treatment only at the tumor site? I look forward to their next steps, with a larger trial and different type treatments. Researchers in Beijing have already started a separate ultrasound clinical trial for pancreatic cancer using gemcitabine plus cisplatin.